Campaign Chronicle, 1 Week to Election: Vote Early, Vote Often! I’m only partly kidding with that title, and in a second I’ll explain why. – TODAY (the 29th) is the last day to request an absentee ballot. 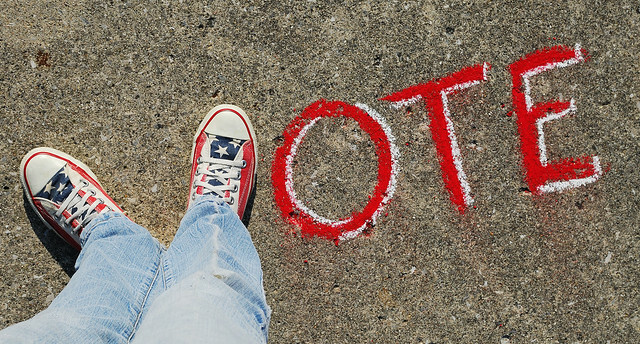 Your request needs to be in the Board of Elections office by the close of business. – TOMORROW (the 30th) is the first day for early voting in Cary. You can vote at the Herb Young Community Center from 11 a.m. to 7 p.m. Wednesday through Friday, but only from 10 a.m. to 1 p.m. on Saturday. So, vote early if you want to! stand on the streetcorner and encourage people (but don’t harangue them; nobody likes to be harangued) to vote and even to write me in. Vote for Gray, for everything! 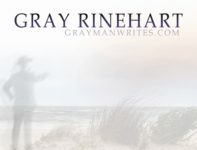 *The fact that there are two “Gray Rinehart”s in the world may be confusing, but I’m the only Anti-Candidate. **Fair warning: If you do something silly like that, be prepared to send LOTS of paperwork to the Board of Elections. Spending Disclosure: As of this date, my campaign has spent a total of $84. For additional updates and info, sign up for my newsletter using the form in the right sidebar or visit the election page on my website.